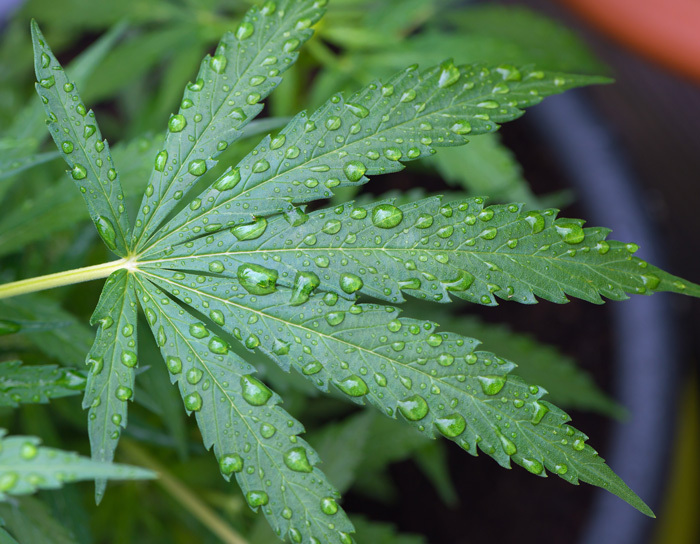 Water quality is important when growing cannabis. Reverse osmosis filters put you completely in charge of the mineral profile of your water. Lets look at reverse osmosis. To guarantee your experience with reverse osmosis water doesn't turn into a time and money wasting experience that fouls all your hard work raising cannabis, here is some excellent information to make sure you get great yields from healthy plants. From clean clones or from seed to flower, reverse osmosis puts you entirely in charge of the water for your grow. REVERSE OSMOSIS GOOD OR BAD? Reverse osmosis is a water filtering process that is said to cause argument among growers. Saying there is a division in opinion over reverse osmosis would be unfair to the generally loving nature of cannabis enthusiasts. The use of reverse osmosis is quite country dependant. With no need for contention. It is not surprising to find reverse osmosis in use far more often in countries where the tap water is generally considered not potable. It makes sense that if you can't drink it, your plants, that are dependant on you for their entire ecosystem, probably can't drink it either. If you live in a country where you can fearlessly drink the tap water without fear of any kind of infection or poisoning you may rest assured that your plants will be able to drink it as well. To put a lid on your questing, just swish an EC or ppm meter around in your water sample. If the meter melts in your hand or has an alarming reading or if the sample is obviously cloudy and is awash with flotsam and jetsam, you should probably reverse osmosis your water. To get an exact handle on your water you can contact your local water provider and they will supply you with a mineral profile. Meters of course do not inform you of the pollutant, radioactivity, microbial or bacterial content, which may need to be considered. Reverse osmosis is a filtration method than can remove up to 95-99% of dissolved salts in any water sample. It is the preferred method for desalinating water on an industrial scale for manufacturing and domestic water supply. 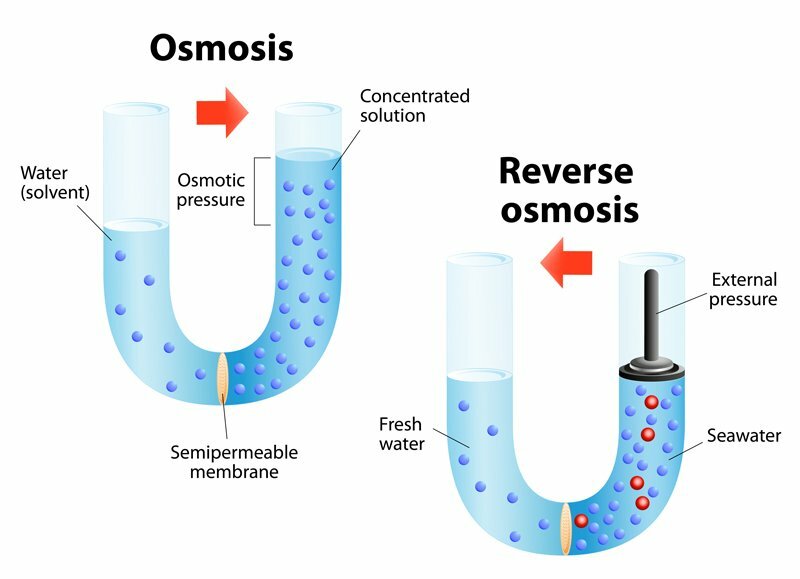 Reverse osmosis uses high pressure to force water through a semi-permeable membrane, leaving the salts on one side of the membrane, which goes to a waste water or brine stream. Pure water on the other side of the membrane is the usable water for you and your plants. The brine stream can be fed back through some systems to save water. Reverse osmosis can be wasteful if you have restrictive water access. Six litres of feed water are needed to create one litre of pure water. More, if the source water is very contaminated. Thankfully the burgeoning popularity of indoor cannabis cultivation has seen the drop in price and lift in efficiency of home reverse osmosis filtration units designed for the cannabis enthusiast. For your own health as well as that of your crop you must determine whether your local water supply is being fluoridated or chlorinated or both. These chemicals can hinder healthy microbial growth by sterilizing the grow medium or killing added microbials in nutrients. Reverse osmosis becomes necessary when your domestic water supply has been tampered with in this way. The carbon filters usually associated with reverse osmosis remove heavy elements like chlorine and flouride, chloramine and heavy metals. The resulting ultra filtered water is stripped of all minerals. You are now responsible for the entire mineral profile of your water before it goes to your precious plants. Straight up reverse osmosis water will deplete your plants of calcium and magnesium so fast your head will spin. People that drink pure RO water are similarly at risk of osteo-type deficiencies and poor teeth because reverse osmosis water can pull calcium from the body. Your nutrient product should be selected with the use of reverse osmosis water in mind. Remember you are now entirely responsible for the mineral content of your water. Organic soil growers will still need to modify their water. Soil is an excellent buffer against ph fluctuations and microbial attacks, but it will not save you from calcium deficiency. At all times, from spray bottle to the final flush stages, the reverse osmosis water will always need to be adjusted. Cybernetic may be a word that has been out of fashion for some time, swamped in the wake left by computer technologies thrust towards singularity. This old word steeped in history seems appropriate with indoor growing marijuana. You are completely responsible for your plant's environment. You are the sun, the night, the wind, the manna and the rain. Into a feedback loop you input information in the form of nutrients and lumens, water and moving air. The response from your plants is the information feedback from which you deduce corrections to the procedure. Growth rate, colour, leaf and branch structure are all important factors. Your yields increase in harmony with your knowledge base, proficiency and skill level. Understanding reverse osmosis as part of your overall grow strategy will empower you as you become a master in the art of cannabis cultivation.